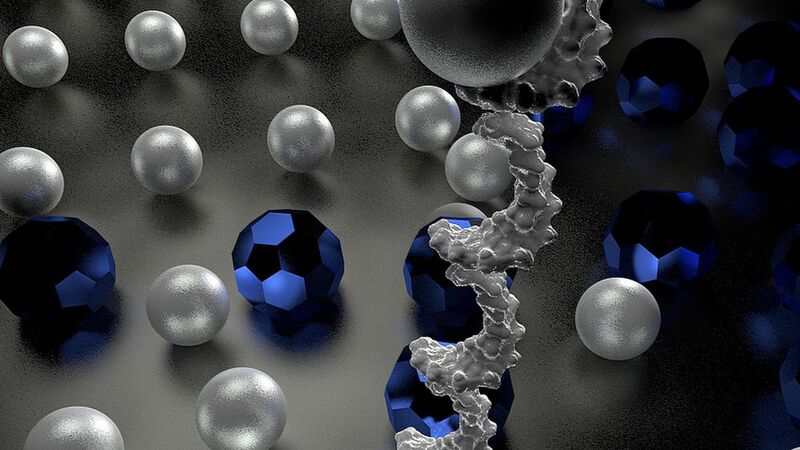 Researchers at Caltech have created microscopic robots out of DNA that can transport and sort cargo, according to research published Thursday in Science. This is a big improvement on previous DNA robots, which were limited to moving in one direction or carrying one type of nanoparticle. The new robots can pick up two different colored dye molecules and deliver them to two different locations. Why it matters: Researchers hope that one day DNA robots will be able to target cancer cells or deliver drugs to specific parts of the body. According to study author Lulu Qian, "It is one of the first steps toward developing the building blocks for general‐purpose DNA robots." She adds that it shows how seemingly complex tasks can be programmed with simple instructions. How it works: The robots are made from a single strand of DNA built from four chemicals: A, C, T and G, for shorthand. These chemical bases recognize and bond to one another (A binds to T, and C to G) but are also very easy to unstick from their corresponding parts. Researchers code the robot's DNA body to recognize parts of a DNA field as it walks across it. The robots have four parts: a 'leg' with 'feet' so it can move and an 'arm' with 'hands' that picks up the cargo. They walk around randomly, and when they pick up cargo they carry it around until they find the spot where they're coded to stop. What they did: The researchers scattered 6 colored particles — some pink, some yellow — across a field of DNA. A single robot walked back and forth, delivering the molecules to the appropriate locations. When the researchers added more DNA robots, the time it took to complete the task decreased, indicating the robots can work alongside each other without interfering.